Plastic Spring Double Hole Shoelace Buckle Lanyard Cord Lock End Black 10pcsCategory: Shoelace LanyardPlastic two holes cordlock is used to lock cord for conveneint use.With spring loaded design.Widely used for lanyard, luggage, clothing, backpack, sportwear, tent and more.For CALIFORNIA residents only: WARNING: This product contains chemicals including DEHP, which is known to the State of California to cause cancer and birth defects or other reproductive harm.Please note that by posting this Proposition 65 warning, we are notifying you that one or more of the Proposition 65 listed chemicals may be present in a product. With Unique Bargains' products, the exposure to these chemicals may be of no significant risk to you, but out of caution, we have elected to place this warning on our site to make sure our customers are informed.You can find more information at http://www.oehha.ca.gov/proposition-65/about-proposition-1352. 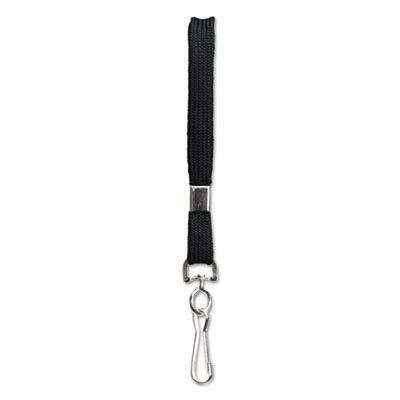 Advantus Deluxe Neck Lanyard with J-Hook, Black, 24 CountCategory: Shoelace LanyardProvide employees with a quick and easy way to carry their identification badge with this convenient Advantus Deluxe Lanyards bundle. 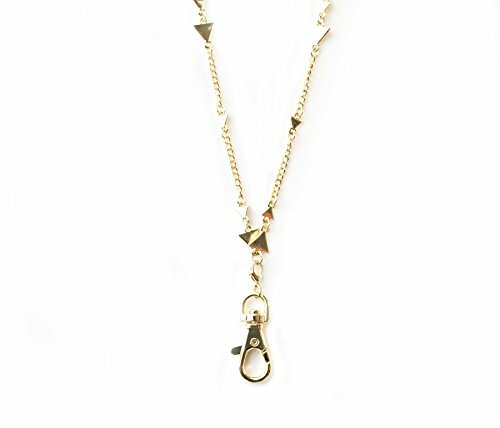 They have a long cotton/nylon cord with J-hook metal fasteners designed to keep credentials safely in place. 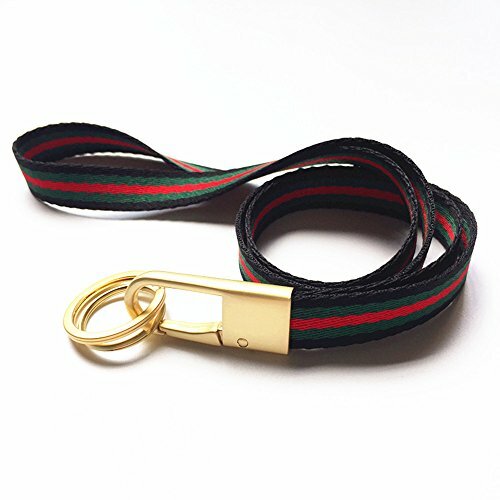 These badge lanyards are suitable for showcasing your badge without the use of clips or pins. 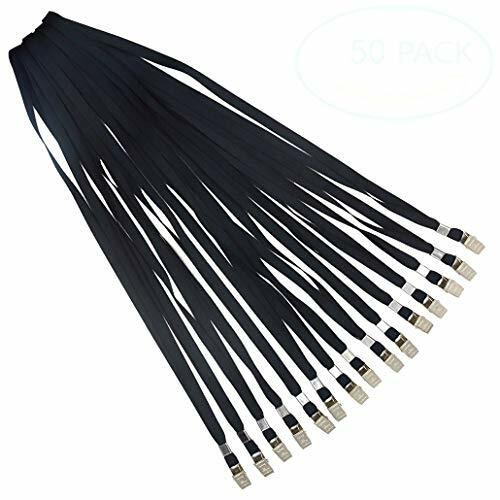 Unique BargainsPlastic Spring Double Hole Shoelace Buckle Lanyard Cord Lock End Black 20pcsCategory: Shoelace LanyardPlastic two holes cordlock is used to lock cord for conveneint use.With spring loaded design.Widely used for lanyard, luggage, clothing, backpack, sportwear, tent and more.For CALIFORNIA residents only: WARNING: This product contains chemicals including DEHP, which is known to the State of California to cause cancer and birth defects or other reproductive harm.Please note that by posting this Proposition 65 warning, we are notifying you that one or more of the Proposition 65 listed chemicals may be present in a product. With Unique Bargains' products, the exposure to these chemicals may be of no significant risk to you, but out of caution, we have elected to place this warning on our site to make sure our customers are informed.You can find more information at http://www.oehha.ca.gov/proposition-65/about-proposition-65. 10 Pieces Lanyard 5mm Diameter Double Holes Plastic Spring Cord Locks EndsCategory: Shoelace LanyardPlastic two holes cord lock is used to lock cord for convenient use.Widely used for lanyard, luggage, clothing, backpack, sportwear, tent and more.For CALIFORNIA residents only: WARNING: This product contains chemicals including DEHP, which is known to the State of California to cause cancer and birth defects or other reproductive harm.Please note that by posting this Proposition 65 warning, we are notifying you that one or more of the Proposition 65 listed chemicals may be present in a product. With Unique Bargains' products, the exposure to these chemicals may be of no significant risk to you, but out of caution, we have elected to place this warning on our site to make sure our customers are informed.You can find more information at http://www.oehha.ca.gov/proposition-65/about-proposition-65. 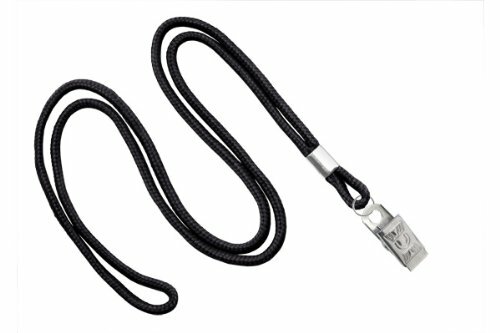 Unique BargainsPlastic Spring Stop Double Hole Shoelace Buckle Lanyard Cord Lock End Black 8pcsCategory: Shoelace LanyardPlastic two holes cordlock is used to lock cord for conveneint use.With spring loaded design.Widely used for lanyard, luggage, clothing, backpack, sportwear, tent and more.For CALIFORNIA residents only: WARNING: This product contains chemicals including DEHP, which is known to the State of California to cause cancer and birth defects or other reproductive harm.Please note that by posting this Proposition 65 warning, we are notifying you that one or more of the Proposition 65 listed chemicals may be present in a product. With Unique Bargains' products, the exposure to these chemicals may be of no significant risk to you, but out of caution, we have elected to place this warning on our site to make sure our customers are informed.You can find more information at http://www.oehha.ca.gov/proposition-65/about-proposition-65. Unique Bargains Spring Stop 6mm Dia Double Holes Plastic Shoelace Buckle Lanyard Cord Locks 10 PCS for Home EssentialCategory: Shoelace LanyardUnique Bargains Spring Stop 6mm Dia Double Holes Plastic Shoelace Buckle Lanyard Cord Locks 10 PCS for Home EssentialPlastic two holes cordlock is used to lock cord for conveneint use. With spring loaded design.Widely used for lanyard, luggage, clothing, backpack, sportwear, tent and more. For CALIFORNIA residents only: WARNING: This product contains chemicals including DEHP, which is known to the State of California to cause cancer and birth defects or other reproductive harm.Please note that by posting this Proposition 65 warning, we are notifying you that one or more of the Proposition 65 listed chemicals may be present in a product. With Unique Bargains' products, the exposure to these chemicals may be of no significant risk to you, but out of caution, we have elected to place this warning on our site to make sure our customers are informed.You can find more infomation at http://www.oehha.ca.gov/proposition-65/about-proposition-65. Disney Mickey Mouse Black Gold Lanyard with Cell Phone Case or Coin Purse (1 Lanyard)Category: Shoelace LanyardThis is official licensed Disney Mickey Mouse lanyard with coin purse/cell phone case. The size of coin purse approximately 5.75" x 4.0" and the length of lanyard to safety clasp approximately 18.0". Cell Phone Lanyard Strap, Gear Beast Web Universal Smartphone Case Cover Holder Lanyard Necklace Wrist Strap For iPhone X 8 7 6S 6 Plus Galaxy S8 Plus S7 S6 Edge Note 8 5 4 Jitterbug Smart and MoreCategory: Shoelace LanyardNEVER DROP YOUR PHONE AGAIN! The Gear Beast Universal Smartphone Lanyard Strap is the perfect solution for anyone who needs to keep his or her phone secure and protected while also making it immediately accessible. From nurses and other healthcare professionals to nature photographers, sports fans and even Pokemon Go players, this is the perfect solution. COMPATIBLE WITH CELL MOST PHONES. Extra strong silicone phone holder expands to provide a secure carrying solution for most phones up to 6.75 inches tall and 3.75 inches wide including iPhone X, 8, 8 Plus, 7, 7 Plus, 6s, 6s Plus, 6, 6 Plus, 5, SE, Galaxy S8, S8 Plus, S7, S7 edge, S6, S6 edge, Note 8 5, GreatCall Jitterbug Smartphone and more. 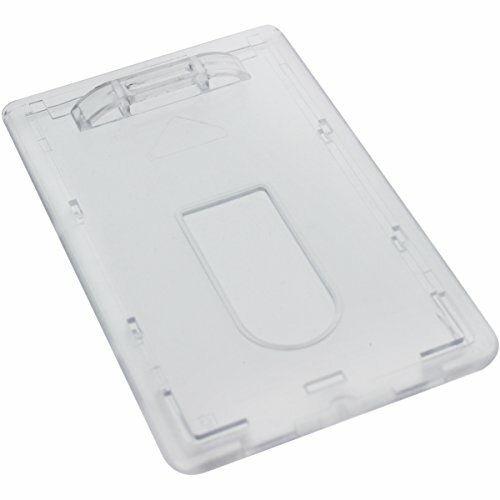 Holder accommodates cases from Otterbox, Lifeproof, Spigen, Urban Armor and Incipio. PLEASE NOTE: The phone hone holder MAY PARTIALLY BLOCK CAMERAS POSITIONED IN REAR CENTER like on the Galaxy series. It may be necessary to remove phone from holder to use camera.Comfortable 32 inch nylon strap is comfortable to wear and is the perfect length to easily access all your phone functions or iOS or Android apps including Text Messaging, Instant Messaging, Email, Social Media Notifications, Music Players, Activity Tracker, Calorie Tracker, Heart Rate Monitor, Distance Tracking, Fitness Tracker, GPS, Location Tracking and PedometerCONVENIENT I.D./CARD STORAGE Web design acts as a secure and convenient card and ID holder so that you don’t need to carry a separate wallet when you want to travel light. Great for credit card, Driver's License, Corporate ID, Access Card or any other card you want to keep handy. Deluxe Lanyard: Argyle: Green & Pink, 1 inch Sublimated Satin Polyester by Moose Pet WearCategory: Shoelace LanyardIt’s great to have a fun lanyard for your keys or your work or school ID. 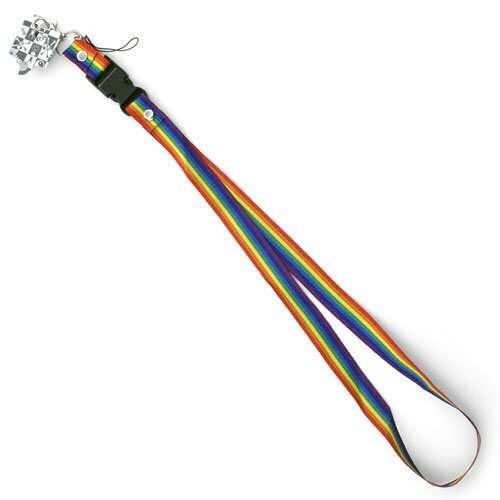 Moose Pet Wear’s Deluxe Sublimated Satin Lanyard is a quick and easy way to express your personality whether it’s fun, funky, dignified, or pretty. The sublimated images look great, and satin polyester webbing is lightweight yet strong and holds up well to the elements. Moose Pet Wear is a family owned company based in Oregon, USA. 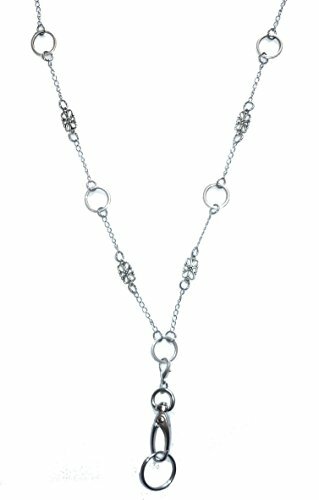 Advantus Deluxe Neck Lanyard with J-Hook - Red, 24/BXCategory: Shoelace LanyardEasily display your badge in clear view with the Advantus Deluxe Neck Lanyard. The 36-inch durable red cotton/nylon cord with J-hook offers a comfortable way to hold employee badges or other identification without attaching to your clothing. You don't have to worry about dropping your badge when you're on the go. They are also great for holding keys. 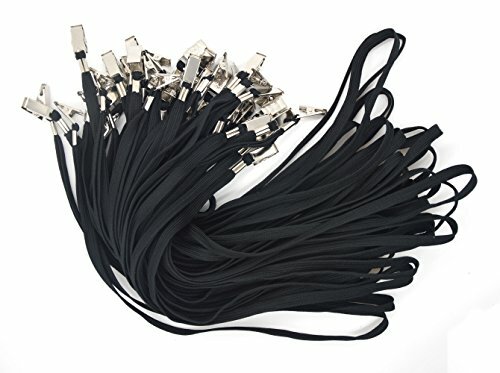 Available in a box containing 24 lanyards with J-hooks, these are an excellent choice for small or large office use. In this tutorial I show you how to tie a snake knot. The knot has many uses in rope crafts, from making bracelets, lanyards, to even making dog leashes and zipper pulls. It is a very common knot in the paracord crafts, so I highly recommend learning it. Find more useful knots here: http://www.paracordguild.com/category/paracord-knots Consider supporting the channel: https://www.patreon.com/paracord_guild Enjoy the video! Music by Kevin MacLoud and Jey Row.